A British soldier who drove on the wrong side of the M4 while drunk has been given a suspended prison sentence. 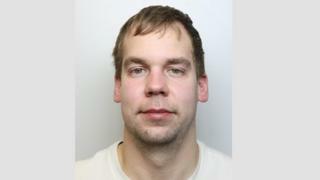 Christopher Duggan, 28, of Ford Street, Swindon, was spotted near junction 16 on Sunday 3 February. The Army mechanic sped away from police before being stopped near Membury Services, a court heard. Duggan admitted dangerous driving and driving under the influence and was sentenced at Swindon Crown Court. The court heard he had been drinking in Royal Wootton Bassett and chose to drive his Saab 900 home in the early hours. He was seen by police joining the M4 at junction 16 and travelling east along the hard shoulder of the westbound carriageway. Officers followed him on the eastbound carriageway before getting ahead and attempting to intercept him near junction 15. Duggan drove directly at the police car before leaving the motorway at the junction and rejoining it, continuing against the flow of traffic. After his arrest, a breath test recorded 82 mg of alcohol in 100ml of breath. The legal limit is 35mg. One of the officers involved in the arrest described it as "one of the most terrifying experiences of my 16 years working in traffic - and one of the worst examples of driving I have ever seen". Duggan was given a 10-month prison sentence, suspended for a year for dangerous driving, and a one-month suspended sentence for driving under the influence of alcohol, with the two sentences to run concurrently. He was also banned from driving for 18 months.